Busega Scotland’s links with schools in Moray are going from strength to strength. The connection between Lhanbryde Primary School and Mayega Primary School is well established. Fundraising at Lhanbryde has purchased sports equipment for Mayega and the children have exchanged drawings to build friendships. The Moray school has an enthusiastic Tanzania Committee and a recent bake sale raised £53. 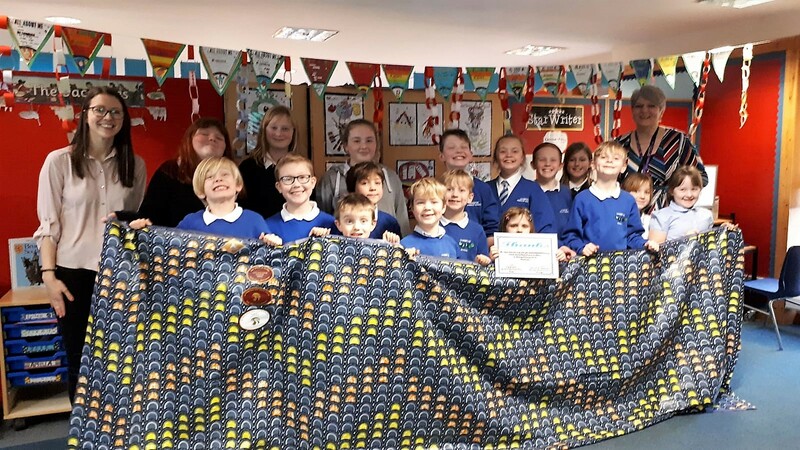 Mayega Primary School expressed its appreciation for the support it has received by sending Gillian Ross, Lhanbryde’s head teacher, a certificate of appreciation and length of African cloth. A great show of kindness. 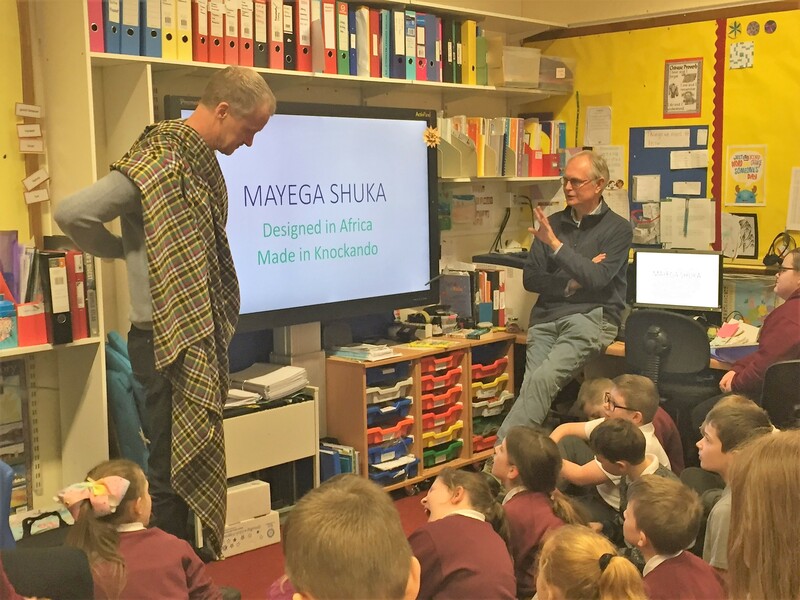 John was invited to give a talk on the work of Busega Scotland to P5 to P7 pupils at Mosstowie Primary School. The children were so engaged and asked many questions. Their knowledge was impressive. 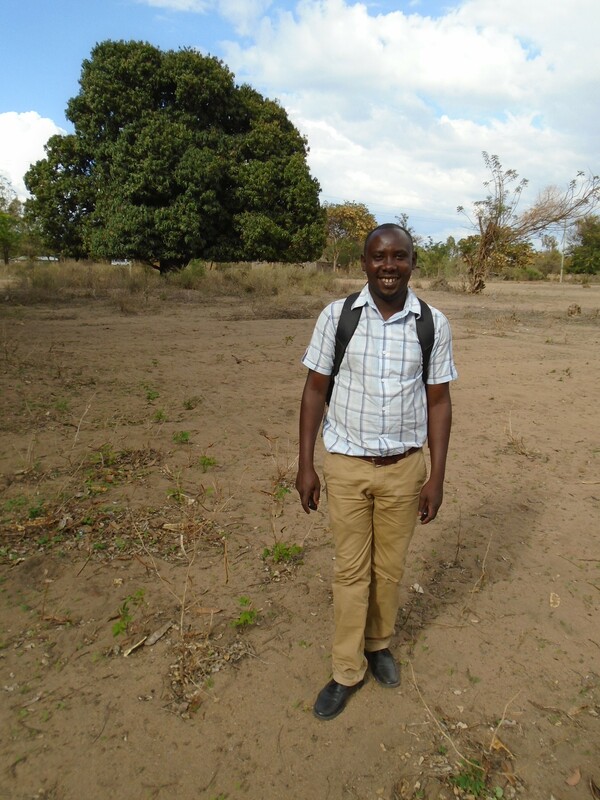 Incredibly, one girl was able to identify the tree in the photograph of Mayega’s head teacher, Ernest Damiano! Can you? The highlight was Gary Forgie, Mosstowie’s head teacher, dressing up in a Mayega shuka. It is likely that Mosstowie children will adopt Busega Scotland as their overseas project to support. We would be delighted if that were to happen. It is important to Busega Scotland that we share our knowledge and experiences of Tanzania. This is part of our commitment to give back to the community of Moray.